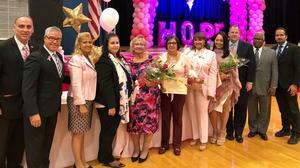 An explosion of pink permeated Colin Powell Elementary School on Oct. 25th as more than 1,000 residents joined together to celebrate Breast Cancer Awareness Month in Union City and to award the American Cancer Society a check for more than $8,400, all of which was donated by employees of the school district. The annual event featured important information and discussions by noted area doctors who specialize in breast cancer, informational tables sponsored by local health care businesses and organizations, as well as live entertainment, raffles and a large art exhibit created for breast cancer awareness. Refreshments were provided by the Union City Education Association (UCEA). 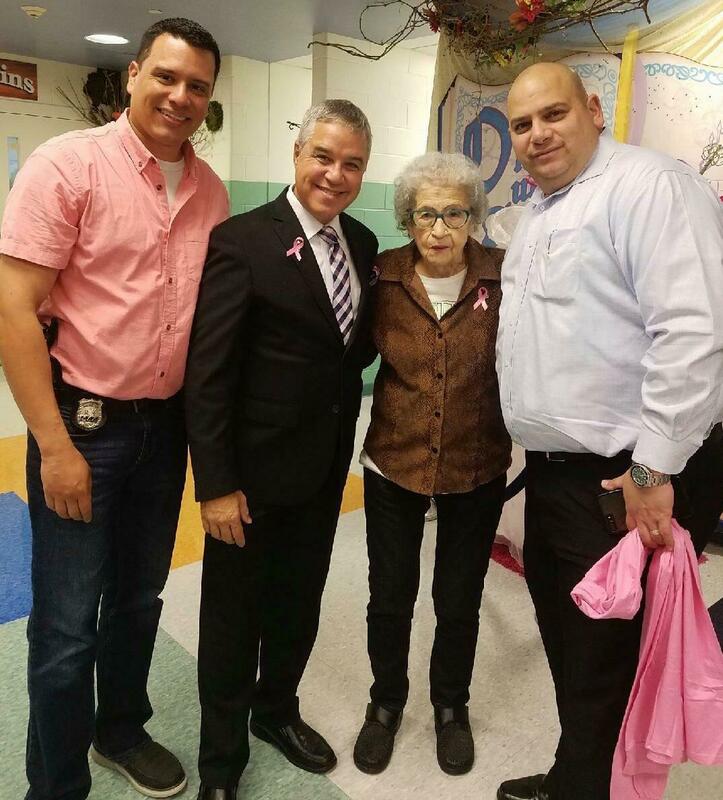 The spectacular event was created by the district’s Director of Community Relations, Mercedes Joaquin, and her staff. After unveiling a large-format version of the check, Ms. Joaquin told the audience that “Union City is pink today,” and added “we have the most generous school district and the best of Board of Education.” Ms. Joaquin thanked School Principal Teresita Diaz and her staff for all their work in hosting the event, and Assistant to the Superintendent of Schools Diane Capizzi for her help in fundraising. More than three million women in the United States have a history of breast cancer and on average 1 in 8 women will develop breast cancer in their lives, according to national statistics. 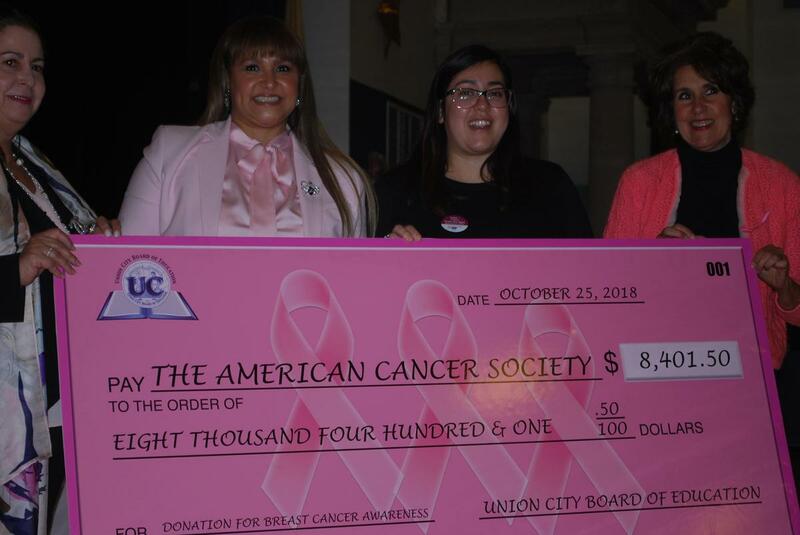 The art show, entitled “Pink Art Exhibit,” was curated by Amado Mora, Director of the New Jersey Artist Collective, and a percentage of the sales of the art work will be donated to fight breast cancer. Union City’s Poet Laureate, Jorge Luis Seco, was also in attendance and was honored.